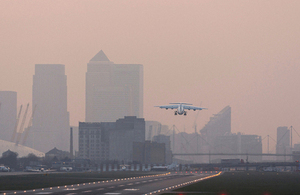 The consultation for shortlisted options for a new runway in the south east is now closed. The Airports Commission’s consultation on its assessment of 3 proposals for additional runway capacity in the south east has now closed. During the 12 week consultation the Commission estimates that it has received over 50,000 responses, from a broad cross section of individuals and organisations. Full details of the consultation will be published in the summer of 2015, alongside the Commission’s final report. I would like to thank everyone who submitted a response during the consultation process. We will now spend the next few months thoroughly analysing those responses, carrying out any further work which might be required, considering the evidence and making our decision. Once our analysis is complete, we will submit our final report to the government this summer setting out our recommendations for additional runway capacity.